Hello and thanks for popping by. 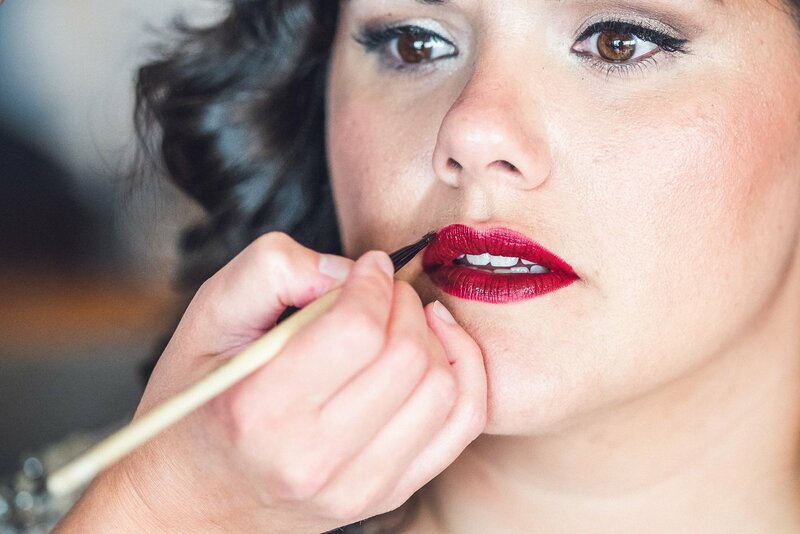 Today I’m handing over to London based luxury wedding make up artist and bridal hair stylist Kylie McMichael who’s going to show you how you can get ready for your wedding hair and make up trial. Swing by my planning section for more wedding planning advice and in particular a whole load of suggestions making the best of your wedding photography. If you’re looking for a wedding photographer you can check out my work on the blog! 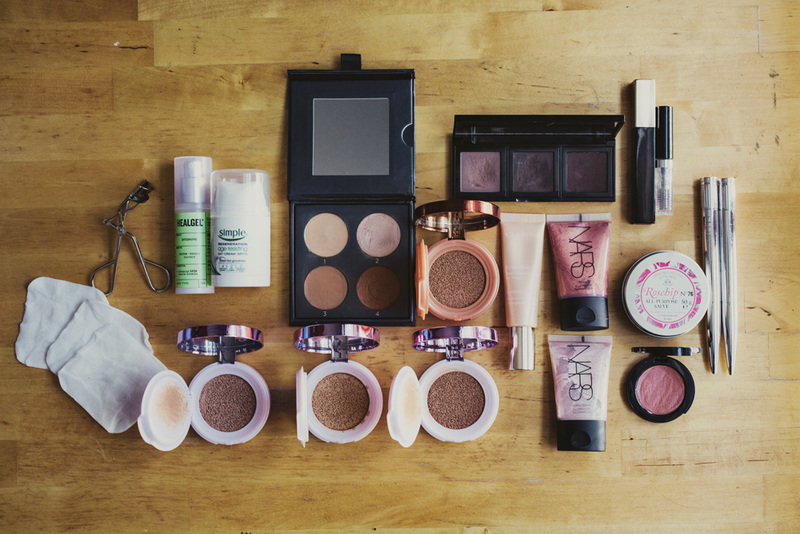 Congratulations, you’ve found your wedding makeup artist and hair stylist! The hard bit has been accomplished and I’m here to guide you. 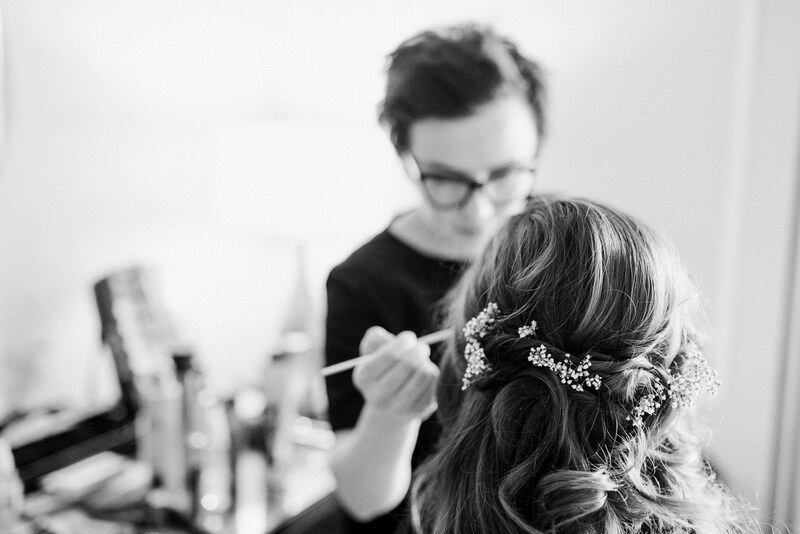 Keep reading to find out how to prepare for your wedding hair and make up and hair trial in 5 steps. Most hair and make up artists will suggest your trial takes place 4-6 weeks before the wedding date. Doing it around this time ensures a similar light to that of your wedding day and you get an idea of seasonal trends, colours and tones. If you’re planning a drastic change to your current look like introducing a new skincare regime, hair colour or hair style; do so 2-3 months before your date to let these changes take shape. I also ask my clients to have their trial coincide with their second dress fitting so they can piece the whole look together with ease. Times for a trial are also super important. Try and book in a morning appointment with your chosen Artist. I rarely do evening trials as the light is very difficult to analyse. It’s also impossible to see how your make up will wear through the day if it’s being applied at 7pm. If you have a separate Artist and Stylist make sure they’re in contact with each other. It’s totally understandable if you’re a little run ragged pre trial; planning is in the last stages, you’re neglecting yourself a little, indulging, you get the idea; and that’s always been fine by me as it prepares me for any visual and aesthetic eventuality. If you have any skin, dry/ overgrown/ split hair woes ( my clients almost always do ) ask your chosen Artist over a Skype sesh pre trial so you can ask what you can do to help those things improve for your trial date. Usually it’s nothing more than a facial, a trim, vitamin or good night’s sleep won’t fix. There’s nothing worse than being told to ‘ Do what you think’ by a client you haven’t known for very long. Be as informative as you can about how you want to look and FEEL when your hair and make up is done. 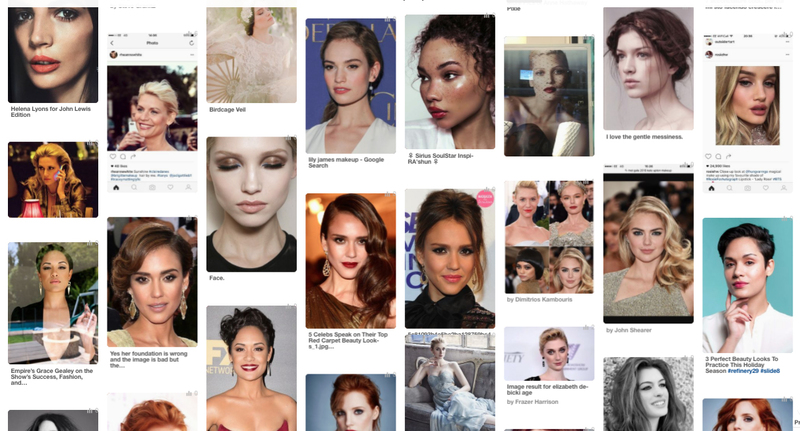 Collect some images you like of hair and make up for us to tailor to your requirements; use Pinterest, Instagram, Magazines and Google to your advantage! Don’t forget to show your Artist a picture of your dress to help design your overall look. If you’re toying with the idea of a veil, flowers or other headpiece bring it with you or make sure it’s available to try on at your dress boutique after your trial. 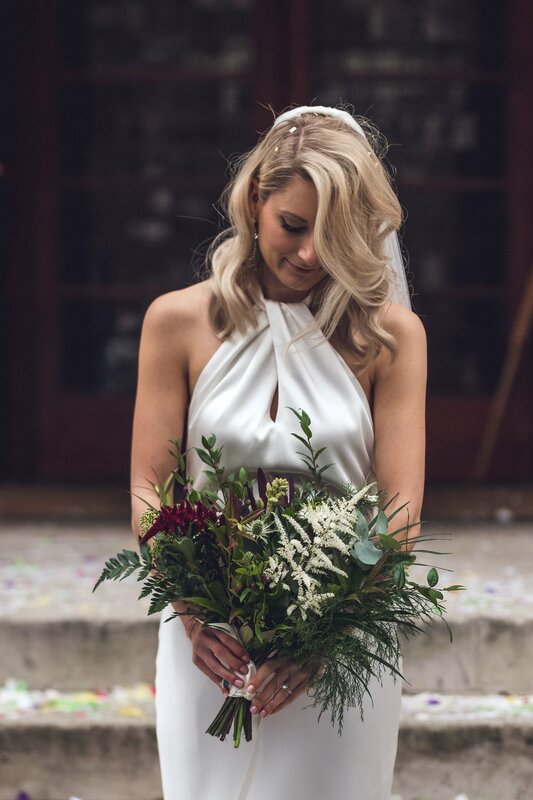 I also suggest my Brides wear an item of clothing that’s either super neutral or has a similar neckline to the gown/ outfit they’ve chosen for their day. Before your trial, ask your Stylist whether they would like your hair washed. This may seem like a simple requirement but it totally depends on your hairs’ current state and what needs to be done to it. For example, I’ve had Brides turn up with damp hair as it behaves a certain way pre set. I’ve also, at times, needed a Bride to have a treatment blow dry the day before to ensure style longevity. Ask your stylist what will work best for you. Come make up free if you can, it helps your stylist see exactly what you’ll look like the morning of the wedding and I personally love seeing a fresh faced Bride arrive and know I don’t have to spend 20 minutes removing their make up. A lot of my Brides, understandably have very little idea of how long a trial is supposed to take. I’m usually booked for both hair and make up services for my clients, so I give a time period of 4 or so hours for their trial. This takes a catch up, initial hair setting, hair styling, make up look, and a slight hair and make up change into consideration. I don’t put a time limit on a trial and your chosen Artist shouldn’t either. Once you’ve had your trial you can discuss accurate timings for the Wedding day with your Artist. This shot isn’t from a wedding that Kylie worked on but it is included in my Best of 2017 post, if you fancy a look! I really hope all those help you feel more prepared and excited for your wedding hair and make up trial journey! If you have any questions, don’t hesitate to contact Kylie! I’ve been lucky enough to work with her on a number of weddings and as well as being very talented she’s a really lovely person to have with you while you get ready to get married.